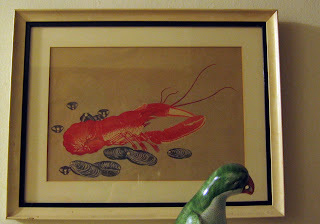 This is an old Japanese print that hung in my grandparents' house. I remember it from way back and feel fortunate to have it now (well no one else wanted it...). It gives me a strong connection with my family and my past.